Hatteras Calling – Still a Few Spaces Available! We still have openings available for our May 7-14 Hatteras Spring Trip. That’s a bit unusual, as we often fill up by now. Perhaps it’s the change in dates from April to May. of having an even better chance of perfect SW breezes that keep you sailing into the sunset. But may I suggest to anyone holding out (and You know Who you Are…) that your reticence is misplaced. This is going to be a fantastic trip, and you don’t want to miss out. 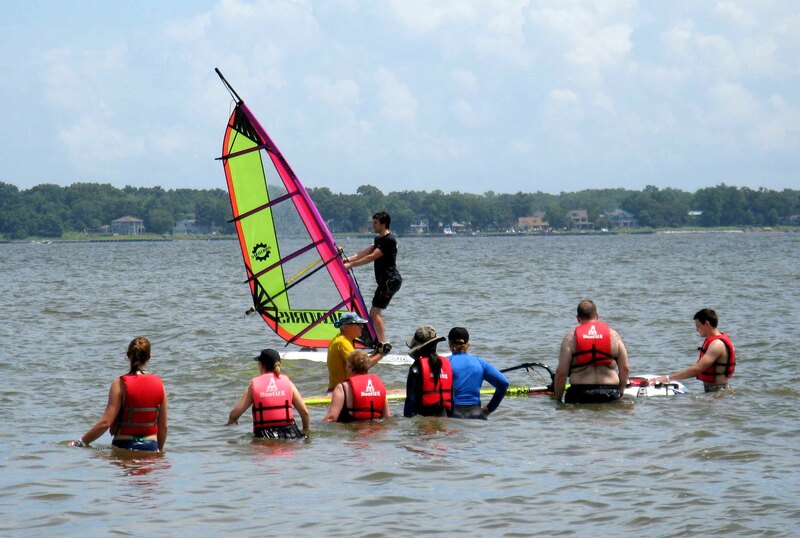 Mayo Water Sports Fun Fest Exceeds Expectations! Students working on the new skills. Your BABA peeps had a big weekend at the Gunpowder in June. Where were you? The threatening storms never materialized even though it was raining cats and dogs inland, and we had nice thermals both Saturday and Sunday. Saturday the wind came early enough for 5 competitive longboard races. 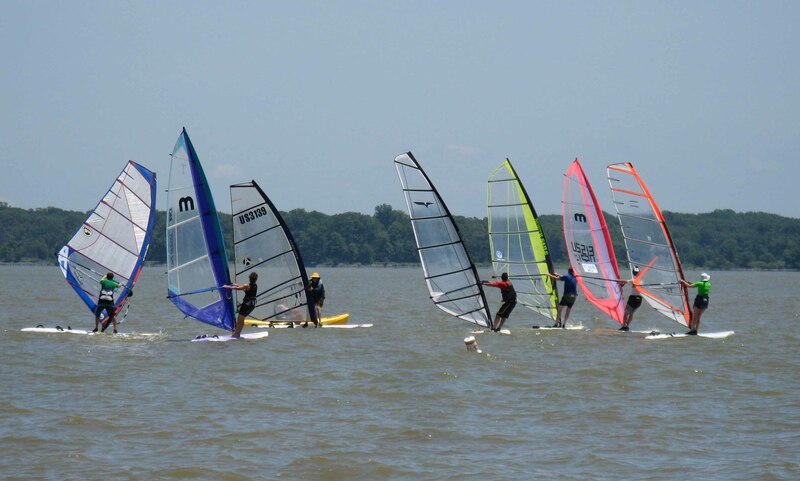 The Formula kiddos decided to play rather than race and they were blasting downwind of the race course. Big thanks to Jeff Forte for ably running the races from a kayak on Saturday. BABA racing is going green – no carbon except for our masts and booms. For the final race of the day we had a self timed beach start in rapidly increasing winds. Stuart Annapolis Wind and Sam Berry returned to the race course after a long hiatus. Welcome home guys!